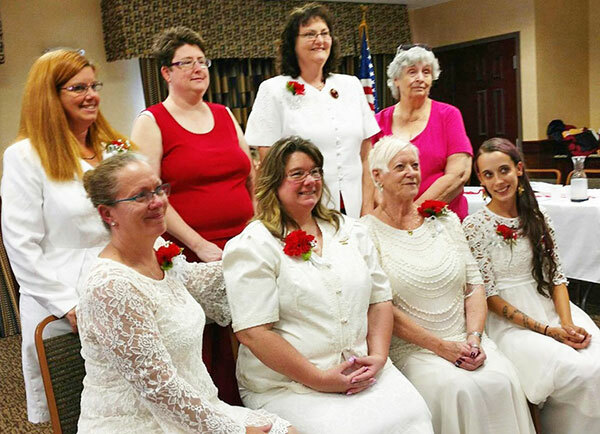 Tag Archive | "Christine Merlington"
Christine Merlington, of Sand Lake, recently returned from a week-long visit to her son Robert Burmeister, who is in the U.S. Navy and stationed on the U.S.S. Antietam in Yokosuka, Japan. 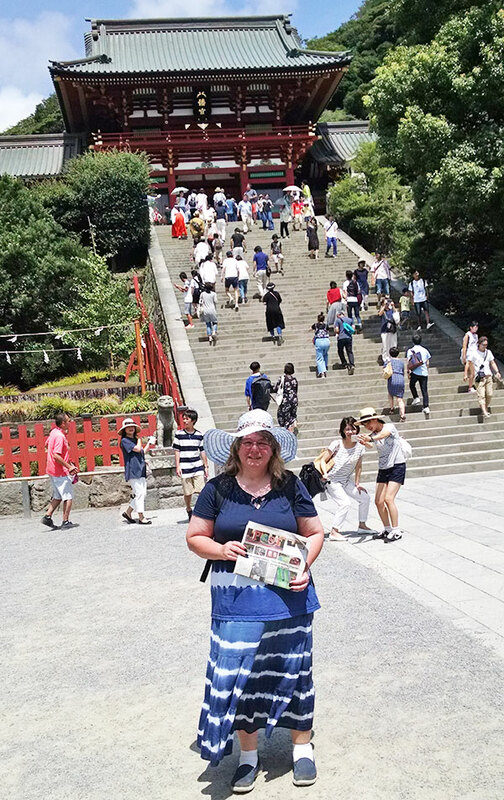 Christine is standing in front of the Tsurugaoka Hachimangu shrine in Kamakura, Kanagawa prefecture. Thanks for taking us with you, Christine! Christine Merlington, second from the left, is the new president of 8 and 40 in Michigan. Christine Merlington, of Sand Lake, has been elected as the 2016-2017 State Chapeau (President) of the 8 et 40 Departemental de Michigan. The Eight and Forty is a fun organization whose members are eligible to join under an eligible military veteran, and have been given the task of assisting in the prevention and control of all respiratory diseases in children; providing scholarships for nurses continuing their education in this field; supporting National Jewish Health’s pediatric needs; and the Morgridge Academy for Chronically Ill Children. The organization sponsors volunteer programs on the nationale, departemental, and local levels, focusing on children and the community, and to offer aid and support with the prevention and control of lung disease(s) in children.